Repair yards expand to meet growing demand for retrofits. 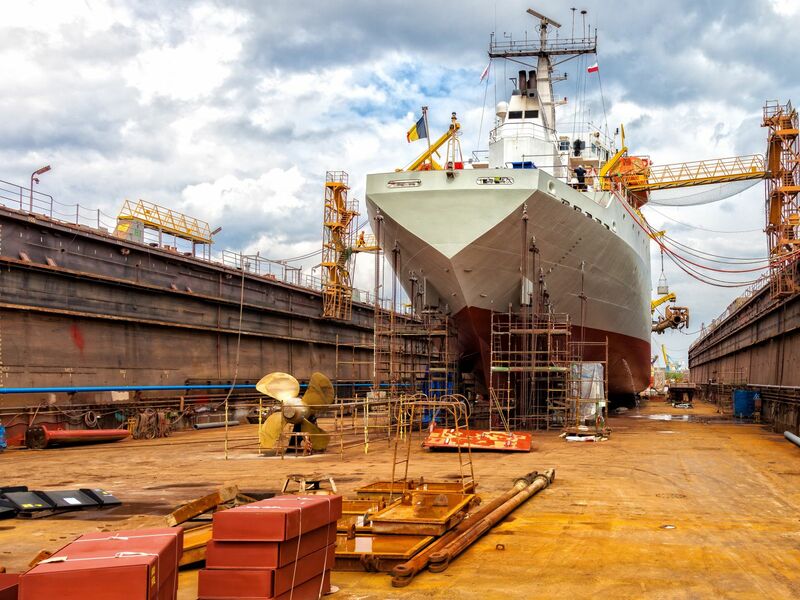 Increasingly stringent air emission regulations have been generating business for the ship repair industry for years now. And while the early push for scrubber installations is over, the cyclical nature of the business means more opportunities are emerging as shipowners move to stay one step ahead of competitors and one step ahead of the law. The first wave of scrubber installations came from owners of cruise vessels, ferries and short-sea vessels operating in emission control areas (ECAs) like the Baltic and North seas. For them, there was an obvious advantage for scrubber installation given the price differential between heavy fuel oil and low-sulfur fuels. For others, the advantages were not so obvious. Goltens has established Green Technology Centers around the world to offer cost-effective support for ballast water and exhaust scrubber retrofits. There are currently centers in Miami, Norway, the Netherlands, U.A.E., Singapore, China and Korea. The idea is to minimize downtime and inconvenience for the customer. “We can engage and contract and communicate with the customer in one region,” Strand explains, “perform laser scanning in another at a convenient port along the vessel’s route with limited impact on operations, conduct detailed engineering and design while the vessel remains in operation, and prefabricate components and do installation and oversight in the most cost-effective region. “Additionally, unlike our fully independent position in the ballast water market, we have chosen in certain regions of the world (parts of the U.S., Europe and the Middle East) to represent and sell the Dupont Marine Scrubber, as it is a proven technology.” For retrofits, Goltens remains independent and will support the retrofit of any system the customer chooses on any vessel. 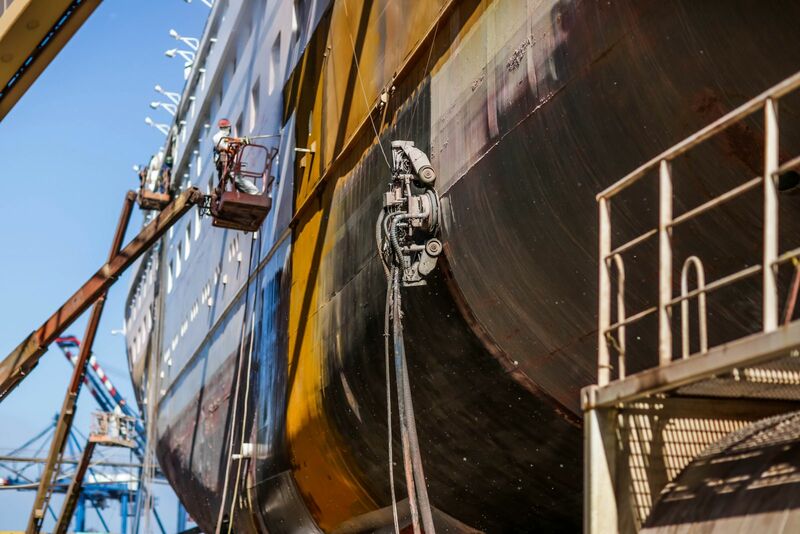 Solstad took advantage of the yard’s strategic location in April when its construction support vessel Normand Reach came in for hull cleaning, blasting and antifouling coating on the way to Australia’s Ichthys gas field. Australian rules covering invasive species are among the strictest in the world, and over and above regular hull-cleaning work and propeller polishing Normand Reach’s ballast tanks and sea chest also needed cleaning and coating. Financial trends would suggest that repair budgets are very tight, he adds, and day rates are still very low, therefore pushing back major overhauls or forcing owners to sell or scrap vessels. Detyens is preparing for the next upswing by upgrading its facilities with new cranes and services and a new floating drydock. 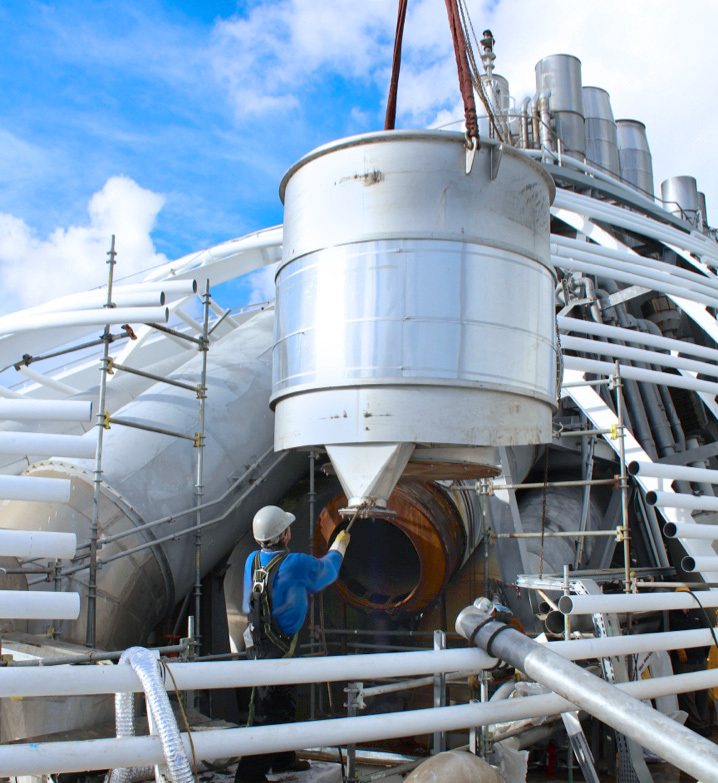 Regardless of market and regulatory developments, routine maintenance work remains a key source of revenue for many yards in the Americas and around the world. In the U.S., Dereck- tor has repair and refit yards in New York, Florida and Maine and boasts a long track record as a renowned boatbuilder as well. Neil Collins at Derecktor Robinhood in Maine reports a busy winter season in progress with a full complement of vessels stored for the winter. In addition, the yard is busily engaged with much of the typical service work requested during the off-season including painting, varnishing and refitting of yachts, navigation upgrades, machinery space refurbishment and repowering. Given current market conditions, shipowners industry-wide are extending periods between drydockings as long as possible to conserve cash and retain charters, says Robert Graham Couser, Vice President of Sales and Marketing for Grand Bahama Ship- yard Limited (GBSL). However, Couser is upbeat about the cruise market with GBSL having completed 15 cruise projects and having another 10 confirmed for 2017 and similar overall numbers in tentative bookings through 2025. The cruise sector is bullish with some 360 vessels in service and over 70 newbuilds on order. For other market segments, the yard is gearing up for an increase in oil tanker business after the U.S. lifted its 40-year ban on exporting domestic crude last year. Couser has a similar expectation for LNG transporters as well as oil and gas drilling majors, who are looking to further their capabilities with deeper water drilling. Military work continues to be a mainstay for Bayonne Dry Dock & Repair in the U.S. Last year, the company was awarded the USNS GySgt Fred W. Stockham contract for five-year drydocking and major overhaul. Catering to a wide range of both commercial and military customers, Bayonne is the largest full-service ship repair yard in New York Harbor. San Diego-based Marine Group Boat Works was issued a Master Ship Repair Agreement by the U.S. Navy last year. Traditionally, only the largest full-service yards have been issued such agreements as they must be capable of the full scope of large government ship repairs including planning, quality control, shipboard/ off-ship production, component/systems testing and trials for vessels like the new class of Littoral Combat Ships or larger. The yard is able to accommodate these large vessels after completing a new $1.5 million floating dock system. Finding new work is a constant challenge for all yards, whether they specialize in new construction or repair and refit or both. Stricter regulations – like air emissions and ballast water – help, as do government contracts. And who knows? U.S. President Donald Trump’s plan to expand the U.S. Navy to 355 ships from the current 275 could offer repair yards, at least in the U.S., added incentive to expand, keeping them one step ahead of demand.